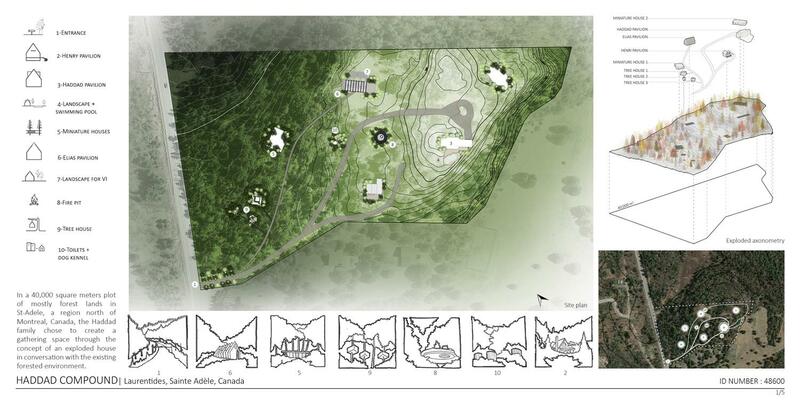 In a 40,000-square-meter plot of forested land in Sainte-Adèle, a lush region north of Montreal, Canada, the Haddad Compound is engaged in an ongoing conversation with its surrounding forests. Home to the Haddad family and built as an extension of two existing buildings, the Haddad Compound was designed to flow harmoniously with the existing natural grid, while at the same time empowering residents by giving them the freedom to create their own scenarios in multiples structures and volumes. A building that is composed of many parts, the “exploded” house encompasses a series of pavilions that surround the existing main house, which is geographically located on the highest point of the site. 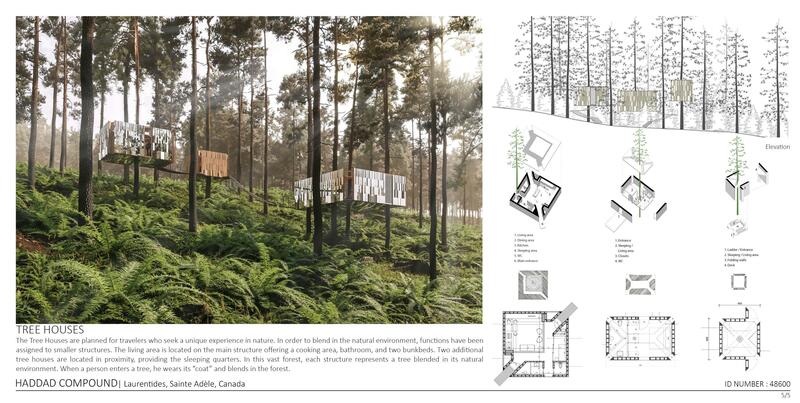 The pavilions are designed to capture the diverse experiences of inhabiting a forest, creating an emotional attachment through the adoption of the forest as a home. The architectural interventions are positioned in order to bring together the larger family, while respecting the privacy and natural evolution of each smaller part of this same family. The resulting autonomous pavilions offer great privacy, making them an ideal place for guests. 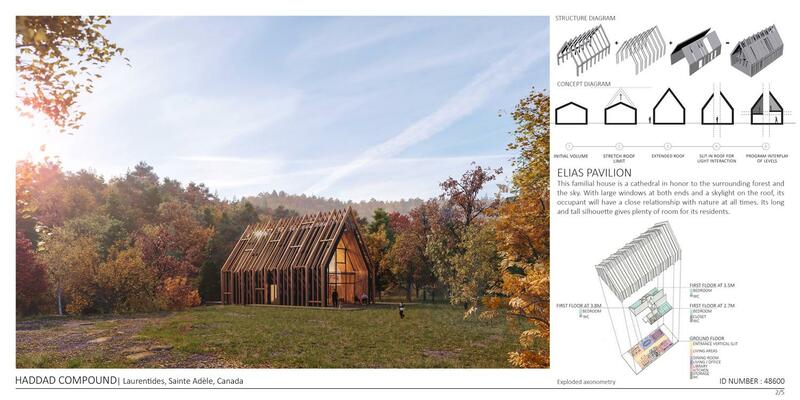 With large windows at either end of its living space and a dramatic skylight in the roof, the Elias family house, the first new addition, functions as a sort of cathedral honoring the surrounding forest and the sky. 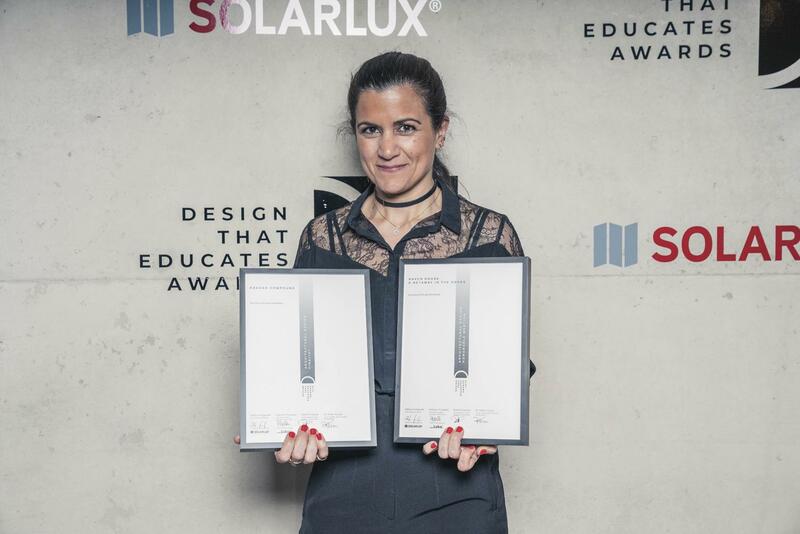 Its long and tall silhouette gives residents both light and space. 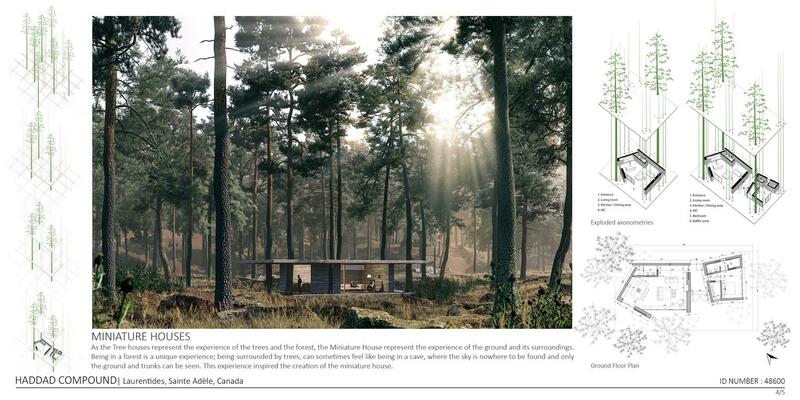 The second addition is composed of three Tree Houses, designed for travelers who want to be immersed in nature. The living space is within the main structure, and it offers a cooking area, bathroom and two bunkbeds, while the two additional tree houses are home to the sleeping quarters. 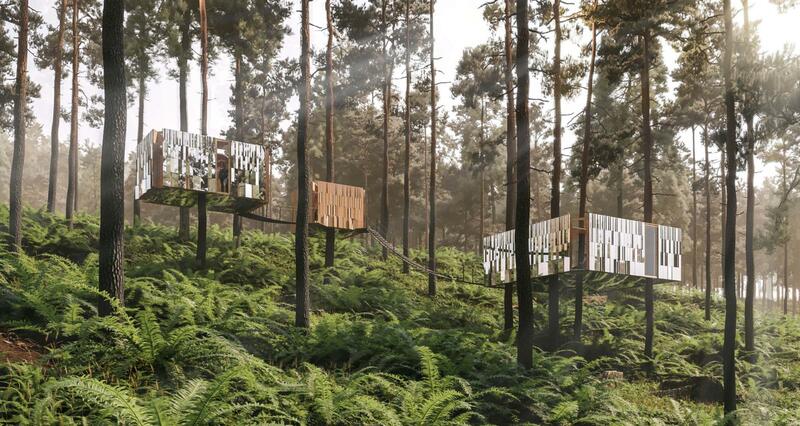 In this vast forest, each structure represents a tree that effortlessly blends into its natural environment. The Tree Houses were conceived as living testaments to the transformation of wood. Over time wood cracks, twists and changes, showing that each piece of wood is unique. Similarly, each Tree House has its cracks, resulting in its own identity. The crack avoids the middle, the wood’s heart, preserving it and allowing for a cozy and comfortable space under the trees. Around this heart, and following the crack, a thick layer of bark surrounds the tree house, offering it protection and separation from the outside world. The only place to look out, is up, through the crack. 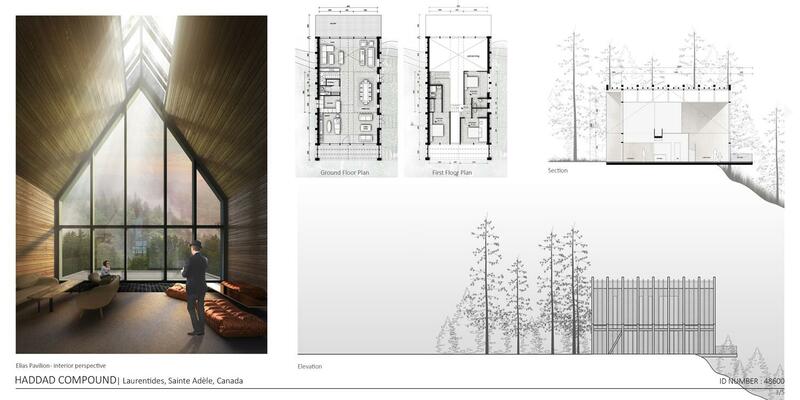 Much like the Tree Houses capture the experience of living among towering nature, the Miniature House represents life at ground level, where the sky is far away and tree trunks reign supreme. To emphasize this effect, two slabs squeeze the underwood into one space: one slab for the ground and another one for the roof, replacing the tree canopy. Trees randomly scattered, piercing through each slab, bring natural light in this darker environment. At the end of the two slabs, in a corner, is located one of the main miniature houses.